IMPORTANT NOTE: IF YOU SUSPECT ANY FORM OF DATA LOSS ON YOUR COMPUTER OR DEVICE, SHUT DOWN IMMEDIATELY AND SEEK PROFESSIONAL HELP. DOING THIS WILL GREATLY IMPROVE THE CHANCES OF RECOVERY. There are many ways data can be lost on a computer, or from the many devices now being used such as USB drives, digital camera memory cards, external hard drives, etc. One thing’s for sure, though, data loss can be a painful experience. What about business? 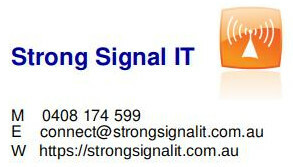 Data loss in a business situation can result in a major disruption to work, costing large sums of money. Worse still, some businesses have had to close due to lack of proper attention to data recovery. There are a number of possible scenarios connected to data loss and recovery. Salvaging data from failed devices, whether it be physical damage or filesystem corruption, may require specialized third party software. 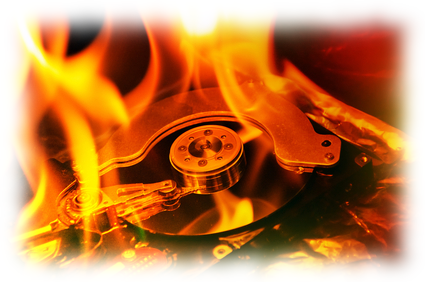 A ‘last hope’ option for critical data recovery involves expensive, lab condition repairs. If you realize you have lost data that you want recovered, or you suspect that something is wrong with one of your devices and are afraid of losing data, give Strong Signal IT a call so we can assist you in the best way possible.